The world these days is growing and developing at a very rapid pace. 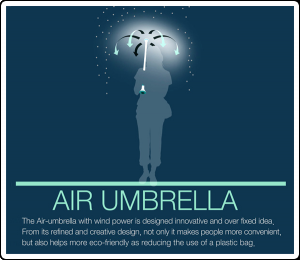 The market is buzzing with innovative and futuristic products and air umbrella happens to be one of them. An umbrella is one of the most common household things but the conventional ones promote the use of plastic which is harmful for the planet. 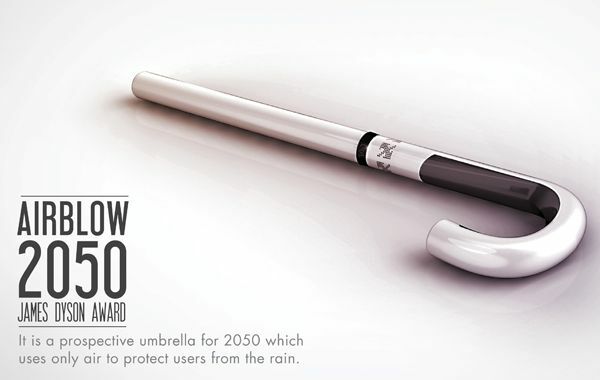 Air umbrella on the other hand uses air to repel rain and prevent the user from getting wet. Air umbrella is designed with a very creative point of view and it shows. The user who possesses an air umbrella will find is much more convenient than a conventional plastic umbrella. It will be like an invisible shield protecting the user from getting wet in the rain. ‘Glowing Tambourine’ lights up with each shake!